From ketchup on french fries to corner store bodegas, a string of legislation has begun targeting so-called “foreign” or “ethnic” food items and purveyors in Europe. Europe in this context really means Italy, France, and Denmark, since these countries especially are leading the charge in banning food customs introduced by migrants from their public institutions and historic districts. Despite Europe’s increasingly heavy reliance on immigrant workers to maintain their economies, the politicians advocating the removal of ethnic foods seek to “preserve their culture” by excluding ever-growing, ever-important populations from contributing to the nation’s culture. It should be news to no one that Europe has a poor track record for assimilating its immigrant population, but these petty nationalistic tendencies spell a lot of trouble for everyone, not just immigrants. Economic arguments offer a convenient way to disguise the xenophobia which motivates these laws. Some argue that immigrants dilute a nation’s culture which would harm their tourism industry; others argue that an influx of immigrants depresses wages and limits job prospects for natives. However, these specious arguments fall flat in the face of countless studies and historical analyses. Not only have numerous studies found that immigrant workers have little to no effect on wages of natives, but others have found that immigrant workers fill the necessary lower-level positions that allow a company to grow and to produce more jobs. These principles — whether some ascribe to them or not — are so integral to the history of America’s success that Europe’s refusal to compromise its cultural high ground is baffling. In fact, San Diego provides the perfect model for just how to integrate immigrants in a way that is both culturally welcoming and economically advantageous. Beginning in the ‘70s, immigrant populations surged in San Diego County such that one in four people in the county today is an immigrant and nearly half have one or more parent who is an immigrant. San Diego, however, distinguishes itself from the European distaste for immigrants by recognizing that immigration is a political and social reality that cannot be swept under the rug. The Economic Snapshot accredits San Diego’s efforts to integrate immigrants through language and professional training for its success. Since the ‘80s, immigrants have maintained an upward trend in full-time work, wages, homeownership, and acquisition of high school degrees. Not only that, but moving immigrants outside of the shadow of contempt America has for immigrants has increased the amount they pay in taxes, even toward services immigrants do not often use, such as social security. All the while, San Diego natives benefit from immigrant participation in the economy because businesses whose basic labor needs are met are more able to grow. This has led to booms in the tourism industry, military industry, biotech industries, and even the food industry — one which ironically causes so much stress for Europeans. All this being said, the be-all and end-all of immigration should not revolve around how migrant workers can benefit the economic standing of natives. The tensions between immigrants and natives are exclusively cultural. Just like in Europe, America depends on immigrant workers to grow our economy, but tensions between migrant groups and natives present themselves very differently in America than they do in Europe. American culture is so heavily intertwined with our history of immigration, so subtle backlash against immigrants is a thing of the past. 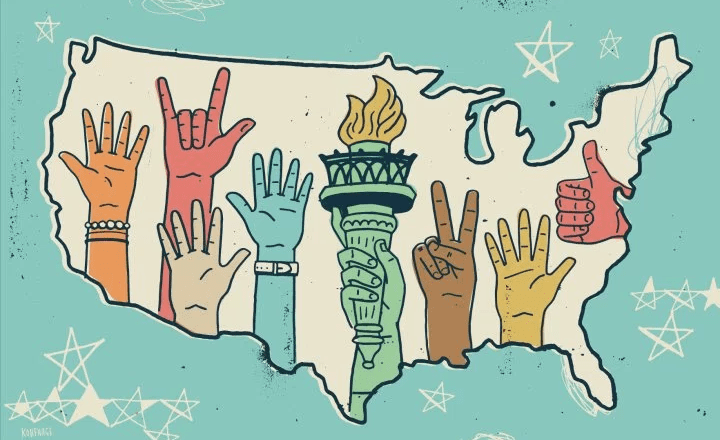 Rather than seeking to obfuscate xenophobia in legislation, America has a distinct talent for brutally confronting our nationalistic tendencies in the form of vandalism, assault, and vilification. Reports abound with incidents of harassment, and even attacks on Muslim-run businesses with slabs of bacon as if to illustrate the sloven nature of these crimes. Attacks on food items and purveyors are just the low-hanging fruit by which people express nationalistic rage towards immigrants, both here and in some European countries. But at least Americans do not try to disguise their xenophobia. Fortunately, San Diego’s model of civic engagement proves that a region can rely on immigrants to bolster its economy while also making a name for itself on a global scale by embracing and enriching the immigrants’ culture. San Diego has become a cultural and economic hub due to its integration of largely-Latino immigrant populations. Europe, on the other hand, situates itself in a never-ending cycle of increasing its reliance on immigrants and reviling them. Whereas Europe sees food as the first means by which immigrants dilute its culture, San Diego has taken a big bite of multiculturalism and maybe a Cali burrito or two.